Continuing AudioGo's fiftieth anniversary celebrations for the show, Shadow of Death is the second release giving us a story with the Second Doctor and his companions Jamie and Zoe and it is a very period-bound tale, giving us the authentic feel of a Troughton era story. Author, Simon Guerrier, even opens the story with those comedic interactions we love between the Doctor, Jamie and Zoe! It's wonderful. Once the TARDIS has landed, it's onto spooky corridors and menacing monsters as the Doctor visits a space station with an international crew. Guerrier has obviously been taking astrology lessons which ultimately serves the story well and gives us some great imagery of the planet's surface that is below the station. The overall series arc that spans all the releases for the fiftieth anniversary doesn't intrude on the overall plot which I liked, with a pleasing reference to past companion, Steven Taylor. Shadow of Death is a creepy tale with some interesting underlining ideas which complement the era that it is set in well and Simon Hunt's sound design is great at adding to the atmosphere of the abandoned base and there is an underlying base throb that plays throughout the story that lets you know when something is happening but not when it is going to happen. Frazer Hines narrates the story and, as usual, he is marvellous. 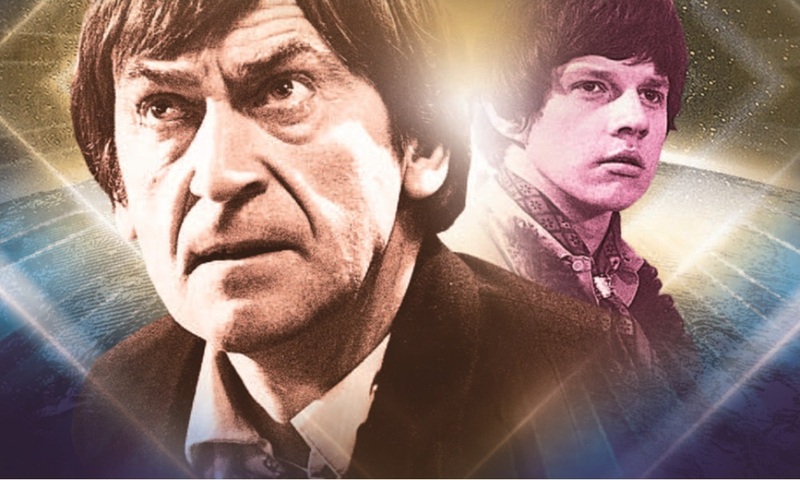 He perfectly captures his younger self and the voice of Patrick Troughton's Doctor, something for which is quite famous for and not once does it feel like it is a chore for him to do and as a result, the story is easy to follow and full of energy. The guest voice in this story is provided by Evie Dawnay, who has obviously done her research into the Troughton era and comes across as a character that sounds a lot like the authority figures like Miss Kelly from The Seeds of Death. Shadow of Death is a simple tale but a well told one. One imagines that, if the BBC had ever done a two-part Troughton story, this is how they would have done it. SHADOW OF DEATH, WRITTEN BY SIMON GUERRIER AND STARRING FRAZER HINES AND EVIE DAWNAY WAS RELEASED IN PARTNERSHIP BETWEEN AUDIOGO AND BIG FINISH PRODUCTIONS IN FEBUARY 2013.